Heather grew up in the Atlanta area and didn’t travel far for college and landed at the University of Georgia. It was only natural that after college she would start her career and family in Atlanta, her hometown. 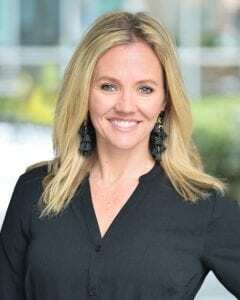 Before joining the Suits Team, Heather was an avid Personal Trainer with her own successful personal training and corporate wellness company in the Brookhaven area. Over the past 15 years she has helped countless clients achieve health and wellness goals and is now taking those skills to Real Estate. The new challenge of helping clients grow their wealth and find the perfect home as part of an extremely talented and dedicated team is an exciting next step in Heather’s career! Heather and her husband, Jeff, live in Brookhaven and have three extremely active kids, Rian, Maddox and Davis. Competitive gymnastics, travel baseball and a traveling musician keep the calendar full. When she isn’t running from appointment to appointment, she also loves to spend downtime with her family, run, read and travel.